Estonia resorts attract numerous travellers by their interesting architecture and rich historic heritage. Magnificent cathedrals, elegant churches, castles and palaces can be found in nearly every city of the country. Tallinn is a beautiful old city with numerous places of interest. 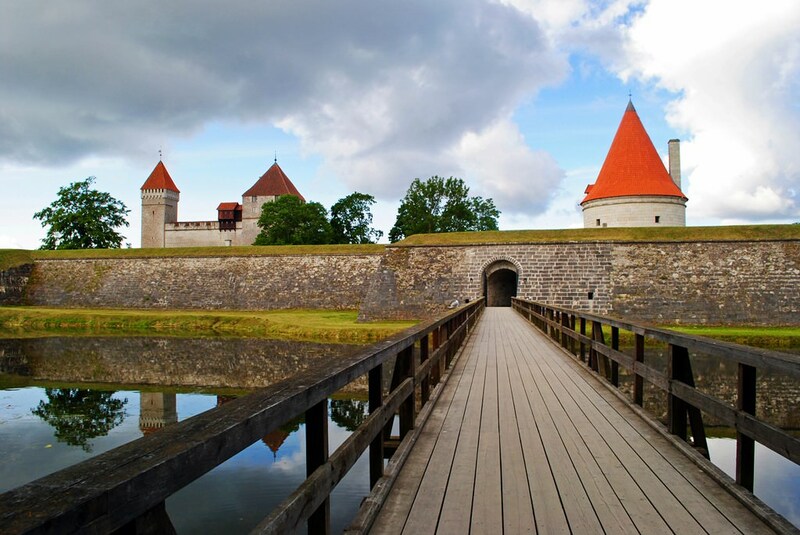 The historic centre of Tallinn is called the Toompea Castle. This is a large architectural complex with several dozen buildings. Construction works started in the 13th century and lasted nearly 400 years. The most famous buildings are Dome Church, Toomkirik, Pikk Hermann Tower, castle walls and massive towers. As these buildings were constructed in different years, they feature different architectural styles – gothic, baroque and classicism. One more place of interest is located on Raekoja Square. This is the old city hall building that was constructed in the beginning of the 15th century. The building is decorated with a wind vane that depicts the symbol of Tallinn – Old Thomas. Many beautiful buildings and culture centres are located in the territory of Narva. The Narva Castle has been the symbol of the city for more than 500 years. The city has rich and glorious war part, so the majority of its museums and monuments are related to war or military actions. When it comes to describing nature landmarks of the country, it’s simply impossible not to mention islands of Estonia. Saaremaa is the biggest island in Estonia. It’s famous for dense pine forests and Juniper bushes. Small villages, old windmills and stone churches look even more spectacular in such beautiful nature. The most famous landmark of Hiiumaa Island is an old lighthouse that was built more than 600 years ago. The height of the building is 104 metres and there are only 2 lighthouses in the world that are older than the Hiiumaa one. Shopping in Estonia - best shopping places, what to buy? The city of Tartu is a famous cultural centre of Estonia. The city can be proud of its wonderful theatres, museums and historic places. The most famous landmarks include the Town Hall building, botanic garden, the Museum of Tartu University, Ethnographic Museum and Zoology Museum. In the 10th-13th centuries, the territory of Estonia consisted of several early feudal states that were conquered by the Crusaders in the late 13th century. All these states became a part of the Livonian Order. After the end of the Livonian war, the significant part of present Estonia became a part of Sweden. The next tide in the history of the country was the Great Northern War between Sweden and the Russian Empire. As a result of the war, in 1721, Estonia became a part of the Russian Empire and was called the Governorate of Estonia. In the late 19th century, the population of the governorate exceeded 950 000 people, among which 90% were Estonians. Estonia gained independence from the Russian Empire in 1918. It gained a status of the republic after the revolution. Besides rich sightseeing program, Estonia is ready to offer its guests a lot of options for exciting leisure. The pride of the country is enchanting sandy beaches, at which the swimming season lasts already from June to the end of the summer. There are also beautiful and fully-equipped beaches in Tallinn. Peaceful and less crowded beaches are located in Pelgulinn. The favorite recreation place of water sports fans is Lake Harku, on which surfing and canoeing competitions are regularly held. The resort of Parnu is very popular with connoisseurs of luxury recreation in Spa style. Beautiful shallow beaches make it also suitable for family recreation. In Estonia, there are wonderful conditions for diving. Approximately, over 40 000 sinking ships are resting in coastal waters now. Even beginners can admire some of them but some diving sites are open only for professionals. Estonia will impress shopping enthusiasts too. They should pay their attention to not only gift, but also food shops. The most popular souvenirs for travelers are ceramic and colored glass items. Beautiful crockery, vases and different hand-made home decorations are sold here. The country is notable for the production of high-quality knitwear and leather items. In food shops, you can buy exquisite liqueurs of the local production, chocolate and beautiful marzipan figures. The popular dainty here is roasted almond with cinnamon. This article about iconic landmarks and sights of Estonia is protected by the copyright law. You can re-use the content, but only under the condition of placement of an active link to www.orangesmile.com. 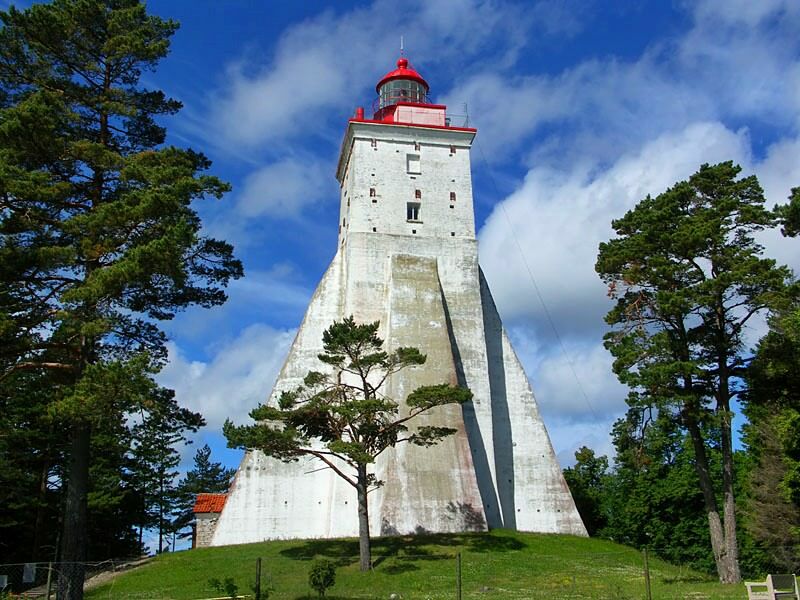 One of the most interesting lighthouses in Estonia is the lighthouse "Kopu Tuletorn". It is a historical place which is open for tourists. This tower is the highest in the Baltic Sea, its height is over 100 meters. It is hard to believe but this magnificent building dates back to 1530 year. The lighthouse was located on Hiiumaa island. The tower has been built for a quarter of the century. The lighthouse "Kopu Tuletorn" is one of the oldest lighthouses in the world. 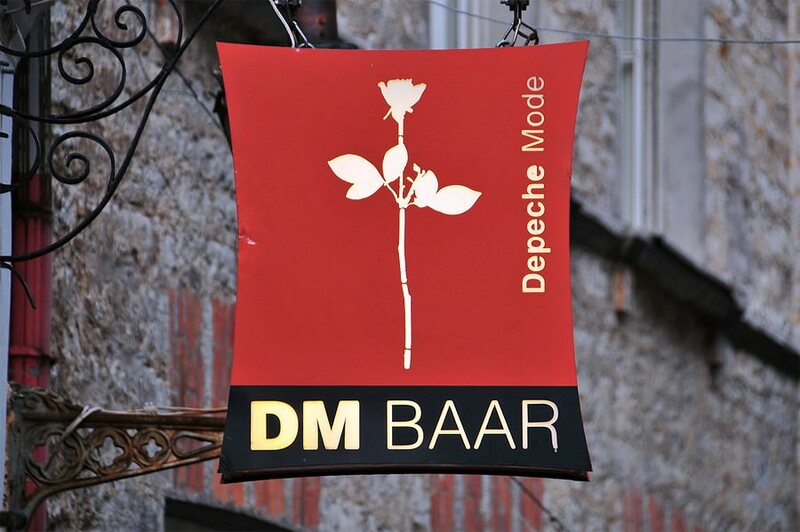 Fans of the English musical group "Depeche Mode" have to visit the bar in Tallinn. It is the number one thing that they have to do in their life. This thematic bar is devoted to the members of the group and their art. A lot of people come here just to listen to their favourite music. The atmosphere in the bar is very informal. The main peculiarity of the bar is the unusual interior. On the basis of the design have lied the hand-painted walls, old photos, press-cuttings, and private things of the musicians.